The Kentia palm is native to Lord Howe Island (off the eastern Australian coast) where it can reach an impressive height of 60 feet. For indoor containerized growing, heights can fall anywhere between 5 to 12 feet. Kentias have upright slender trunks and long arching, feathered, dark green leaves (also known as fronds). Plant your Kentia in fast draining potting mix, preferably on the sandy side. Find an area in your home that receives indirect light through a window; it does not necessarily need to be an extremely bright spot. Water Kentias only when the top inch of soil starts to dry out. Over watering can lead to root rot if the soil mix does not drain fast enough. Plant diseases are rarely a problem with indoor grown palms. 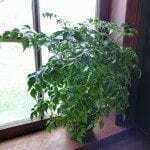 Under and over watering, along with insects and mites, are usually the main issues of these plants. There are a couple small-scale insects that attack palms: mealybugs and mites. Neem oil can be used to discourage such pests from feeding on your Kentia palm. Neem oil is pressed from the fruits and seeds of Neem (Azadirachta indica), an evergreen tree which is native to India. Kentia fronds should be healthy and dark green. Excessive fertilization may cause the tips of lower leaves to turn brown and die. Browning of leaves can also be caused by dry air and/or lack of water. Be sure to mist your Kentia palm with a water bottle ever so often to provide some humidity and to remove any dust build-up. The trunk of the Kentia palm should appear strong and sturdy. If you notice any splitting or unevenness, check for decay, as this is the main reason the trunk may split. Too much decay or splitting does indicate a dying palm. 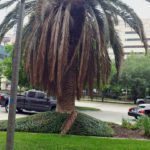 Palms, in general, require minimal pruning. Over pruning may cause irreversible damage to the trunk. 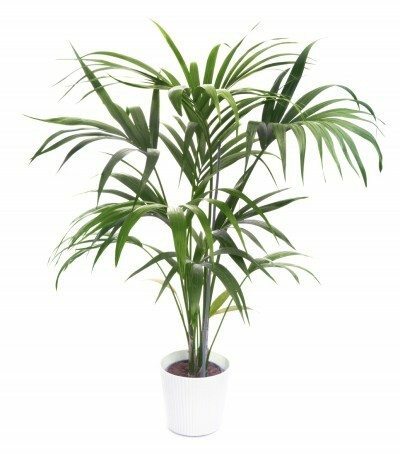 All in all, the Kentia palm (Howea forsteriana) will be a welcome addition to your home creating a relaxing, tropical atmosphere. The easy nature of Kentia palm care makes it a perfect choice for a novice. Read more articles about Kentia Palms.